OSF HealthCare Foundation is excited to share the 1877 Legacy Society continues to grow throughout our OSF Ministry. The 1877 Legacy Society honors those who have shared their intent to support any area of our OSF Ministry through their Will or estate plan. 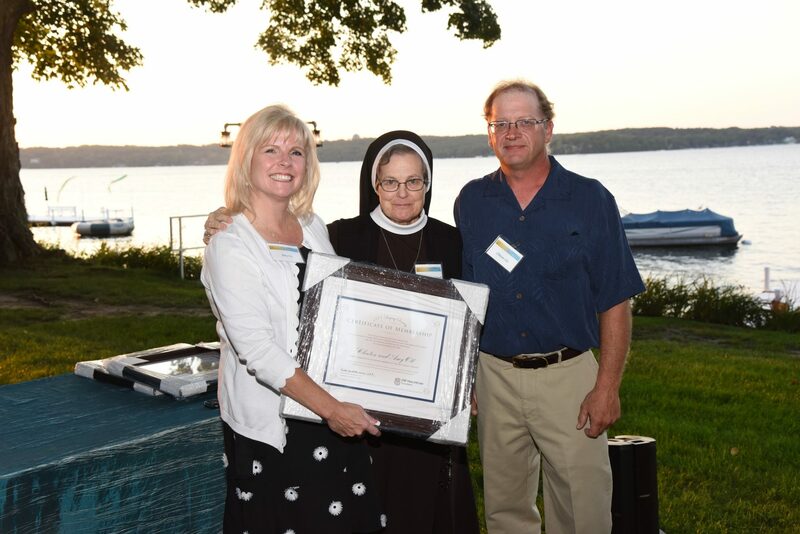 Celebrating the year the Sisters’ began their healthcare Ministry, the 1877 Legacy Society was formed in 2015 by recognizing new members within the OSF HealthCare Saint Francis Medical Center and Saint Francis College of Nursing community. Since then, local chapters of the Society have been celebrated for the communities of OSF St. Francis Hospital & Medical Group, OSF Holy Family, OSF St. Mary and in 2018, new chapters were launched for the OSF Saint Anthony and OSF St. Joseph communities. We look forward to bringing the 1877 Legacy Society to the Pontiac and Kewanee communities in 2019.